Google is making sure the Google Arts & Culture app, which became a viral hit a few months ago thanks to its face-matching features, stays in the cultural limelight. This time it’s celebrating Harry Potter. There is hardly any literary franchise that has fascinated young adults as much as the Harry Potter series. The British Library recently offered the fans a chance to experience rare books, manuscripts and objects from its collection, which captured the magic traditions that inspired the Harry Potter stories. The “Harry Potter: A History of Magic” exhibition in London was an instant hit, and as expected, tickets to the event were sold out in no time, leaving many die-hard fans disappointed. Google is giving those fans and millions of others a chance to take a look at the unique works that were on display. The Google Arts & Culture app will now serve as the online venue for the magical exhibit. “To bring the Harry Potter magic to more fans around the world, hundreds of the exhibition’s treasures from London as well as 15 online exhibits are now available in six languages (English, Spanish, French, German, Hindi and Brazilian Portuguese, and more coming soon) on Google Arts & Culture,” an official Google blog post said. Julian Harrison, Lead Curator for Medieval Historical Manuscripts and the brain behind the exhibition, expressed that the event’s success is an evidence that people’s fascination with magic is a real global phenomenon. 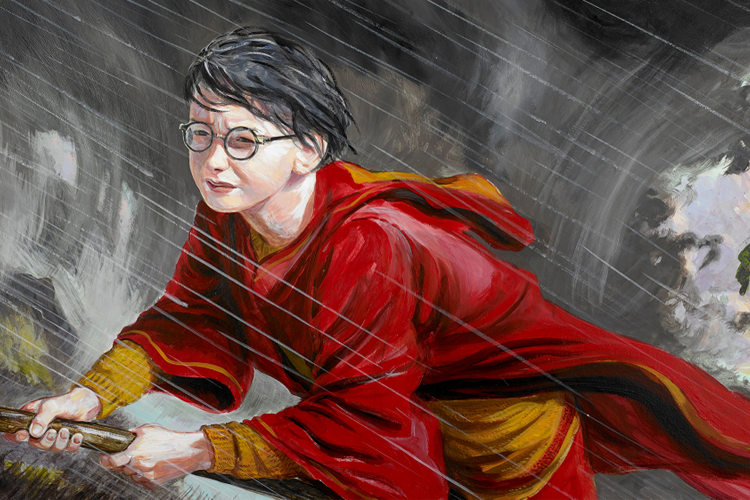 “The British Library is thrilled that our blockbuster ‘Harry Potter: A History of Magic’ exhibition can now be viewed on Google Arts & Culture. We’ve used medieval manuscripts, precious printed books and Chinese oracle bones to explore magical traditions, from the making of potions to the harvesting of poisonous plants, and from the study of the night sky to the uses of unicorns.” he added. The British Library collection is now available on the Google Arts & Culture app on Android and iOS. So go ahead, and immerse yourself in the world of Harry Potter, and make sure you don’t practice any of the ancient magic spells on display, lest your neighbor turns into a frog.